1973: Henri Pescarolo, Gerard Larrousse and Francois Cevert teamed in a Matra-Simca to win the ‘6 Hours of Vallelunga’ World Championship for Makes race, in Italy. The winning trio completed 290 laps of the Vallelunga circuit, finishing a lap ahead of the Ferraris of Tim Schenken/Carlos Reutemann and Jacky Ickx/Brian Redman. 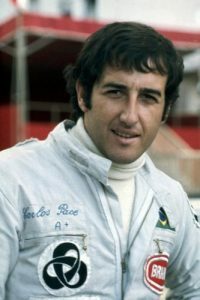 1977: José Carlos Pace (32), Brazilian Formula One driver was killed in a light aircraft accident, just days after the 1977 South African Grand Prix, in which Tom Pryce was killed after running over Jansen Van Vuuren. The track which hosts the Brazilian Grand Prix annually now, as a tribute to him, bears his name, Autódromo José Carlos Pace. 1978: Gordon Johncock won the USAC Championship ‘Jimmy Bryan 150′ at Phoenix International Raceway. 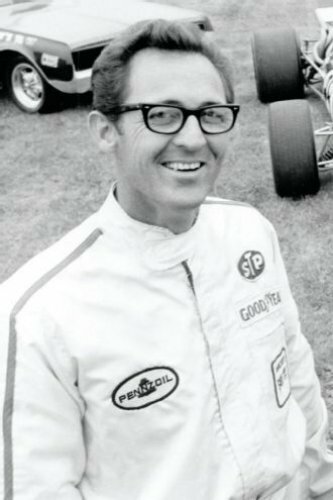 Johncock and Danny Ongais dueled for the win until the clutch began slipping on Ongais’ Interscope Parnelli/Cosworth. Pat Patrick’s Wildcat/DGS entries finished 1-2 with Steve Krisiloff a career best second. Ongais won the pole with a 24.76 lap (145.396 mph). In the preliminary Mini Indy (Super Vee) race, future NASCAR star Tim Richmond won in his first start in the class. 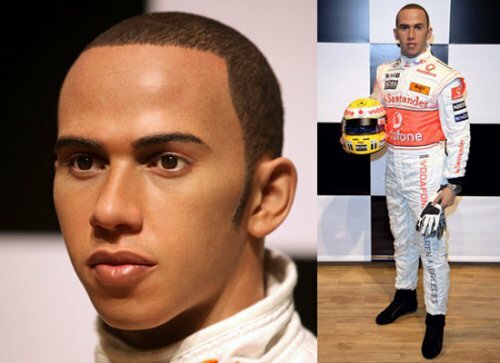 2009: Madame Tussauds unveiled a waxwork of Lewis Hamilton in his Vodafone McLaren Mercedes race suit. This wax replica cost around £150,000 and took over six months to complete. 1900: The first race in Savannah, Georgia, US, the 342 mile Challenge Trophy for stock cars, was won by Lewis Strang in an Isotta-Fraschini. 1911: Teddy Tetzlaff, driving a 46 hop Lozier defeated th 90 hp Fiat of Ralph DePalma in a match staged at the Playa del Rey Motordrome in Los Angeles, California, US. 1960: Jim Clark drove a Ford-Cosworth powered Lotus 18 to victory in the Formula Junior race at Goodwood, England. It was the first win for a Lotus 18. 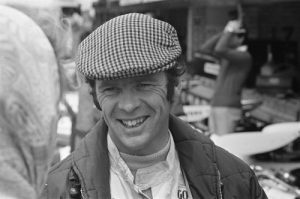 In second place was motorcycle world champion John Surtees making his 4-wheel race debut in a Ken Tyrrell entered Cooper-BMC. 1972: Emerson Fittipaldi drove his Lotus to victory in the non-championship F1 ‘Race of Champions’ at Brands Hatch. Fittipaldi grabbed the lead from polesitter Peter Gethin’s McLaren at the green and went on to take the checkered flag 14 seconds ahead of Mike Hailwood’s Surtees. It was the first win for Lotus in more than a year. Jackie Stewart and the Ferrari and Brabham teams skipped the event. 1995: South African driver Trevor Blokdyk died of a heart attack at the age of 59 while working as a farmer. He competed in F1 between 1963 and 1965 but only qualified for one race, in 1965, in a Cooper T59. 2006: The Malaysian Grand Prix held at Sepang was won by Giancarlo Fisichella driving a Renault R26, who took the final of his three victories in F1. His team-mate, Fernando Alonso, finished second to extend his lead in the drivers’ championship standings to 7 points. Jenson Button took the first podium in a Honda by finishing in third place.